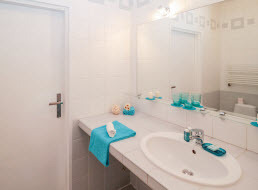 Best residential glass and mirror shop in Orange County! M & M does perfect glass installation and glass replacement (we have had contractors out before that left smudges between the double paned glass). We even had M & M install a new skylight and it looks great. Thanks so much! Professional and polite, efficient and also helpful.. Im moving my business in March and Im not only going to use this business again, but ill also recommend them to friends and family.. No stress, Fair prices, and the helpful tips actually better prepared me for the future without a hard sell. Excellent glass & mirror shop! M & M Glass were recommended to us by my sister when we were looking for a commercial glass company to provide an anti-graffiti film window tint on the store front of our retail store. Not only does the graffiti film stop trouble makers from marking up our store, it also keeps our employees and customers cooler and takes away the glare too. 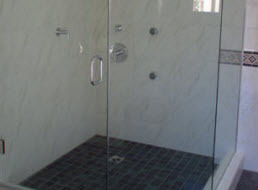 This company did such a great job we have retained them as our residential glass company too for everything from glass replacement services to installing a skylight and shower door enclosures. We have already recommended them to other family and friends and they never let us down! These guys are great. Shopped around for storefront doors for weeks. They gave me the best price. Ben and Frank are so professional and made sure that we are happy with the doors before leaving. Went in to replace a broken Bedroom glass window. It was replaced same day. Price was reasonable. House calls & installations are obviously more $$$. I needed to have a triangular shaped window replaced and wasn't sure where to turn. After being directed to a site while trying to get to the M&M site I was told they 'weren't taking on new customers'. Luckily the person answering the phone transferred me to M&M and they were at my house within a half hour and had my window replaced within an hour. All for a very reasonable price. I would highly recommend them for your glass needs. My window broke and I called M&M Glass to have it fixed. They came out for free to measure my window for me so they could give me an estimate. Every person that I encountered was so helpful and friendly. The men who came to install my window glass were courteous and respectful. M&M will be my go to glass company from now on. Highly recommended!!!! 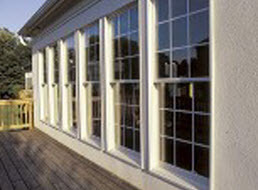 We've used M and M Glass for many years and appreciate their workmanship. They recently replaced windows in our home with double-sided Low-E.
Araceli set up the appointment and the crew was on time to take the correct measurements. After a few weeks for manufacturing the windows they were back for an exact fitting. There was no stress - the crew getting right to work - very professional at each step. I almost didn't call M&M due to a couple of bad reviews, but after trying three other glass and window places (who never even answered their phone at 9:30AM when they were all supposed to be open) I thought I'd give it a shot. So glad I did. Ben answered and gave me a quote for a broken bedroom window, about $185 and said if we put in order by 2pm (it was Thursday), should have by the next day (Friday). I hung up, looks for at least one more quote. After trying for hours, I did finally reach two of the other businesses in Whittier/La Mirada area. Both gave similar quotes or at least a range that was in the ball park, but none of them could get my window repaired before Monday. I really didn't want to deal with a broken window in the bitter cold for a weekend, so called Ben back. His crew was busy by the time I called back, but after I explained my situation, he made sure to find someone who could come and measure before the deadline and had my window in the next day as promised. Ben really went out of his way for pretty small job. In fact, he had to get out of the office himself to help with the install today!!!! What a guy. Both Ben and Frank were great during the install. Respectful of the house, kept wiping their shoes at the front door, etc. I hate it when a couple of low ratings effects the total score of a local business. If your not happy, say so, but be fair. I have learned a lesson. You have to give a 3.5 star business a chance, especially if they have a history of happy customers but may have had a bump or two along the way that may have impacted their avg. Thanks Ben, Frank and M&M glass!!!! My cold feet appreciate you! Got a glass piece for my desk. Shopped around and this was the best price. Aracely in customer service was prompt in her follow up and glass looks great. Paul Turner and his crew were very professional and nice guys to talk to! They did a great job replacing my sliding glass door and installed new rollers. M&M is pricey, but they do excellent work. I highly recommend them. This review is for their customer service. We were looking for a quote on our remodel and Mario came out immediately and gave me a quote. While his prices were fair, our contractor's recommendation was able to do better. But if we didn't have another vendor, we would have used M & M.
Fast, professional, courteous service, for very reasonable prices. No price gouging, even during the rush after the March 2014 earthquakes. We lost two oversized windows in the quakes, and Paul and Kevin worked lightning fast to help us out. I highly recommend! Ordered some glass and they had ready for me in two days. Their price was also very affordable. Excellent customer service. Our front door glass was shattered. It was already 3 pm. I called several places & they could only board it up with wood. 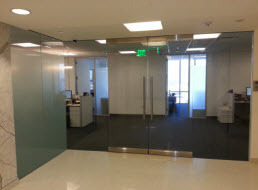 We finally called M&M glass , they came out within 20 minutes replaced the glass & rehung the door within an hour. Adrian was the technician & he was fantastic. He did this job in a record time. He was professional, knew his craft, amazing at his job. If I could give 10 stars we would. Thank you Adrian you are life saver. Sincerely, Happy Braces in La Mirada!